Students of Public, Primary, Catholic, High and Private School Groups. Your school must be registered in order to receive these discounted rates. 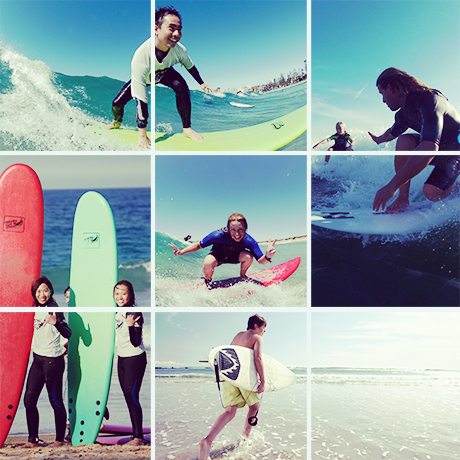 Manly Surf School and Sydney Surf School offers a range of surf safety, surf education, surfboard riding, body surfing, stand-up paddle and body board programs all year round for students. All programs are tailored for the school and age of the participants. Our program is run in conjunction with Surfing Australia’s Safe Surfing Program and the NSW Education Department Risk Assessment guidelines. Our program and Surf School are the only surf school endorsed by the Australian Sports Commission on Sydney’s Northern Beaches. We currently have 70 schools (primary and secondary) participating in our programs. We teach at Long Reef Beach, Collaroy Beach, Palm Beach and Manly Beach. These beaches were chosen by Manly Surf School/Sydney Surf School as they are the safest locations for surfing on Sydney’s Northern Beaches. Classes can range from a 2 – 3 hour lessons or a one day course. We also have 1 hour courses for schools looking to book their students in weekly. Term bookings are usually one hour classes for an 8 – 10 week course. The five tiered program teaches from total beginner to the intermediate surfer, all the way to advanced. All equipment of boards, rash vests and wetsuits (if needed) are provided. All staff are trained in Surf Coaching by Surfing Australia and hold current a First Aid and Resuscitation Qualifications. Conditions in the rain can often be great for beginners, we therefore do not cancel lessons if it is raining. We will cancel if conditions are unsafe. Conditions can vary daily so Manly Surf School works closely with Lifeguards on the beach to discuss conditions for each day. If conditions are unsafe or the beaches are closed, Manly Surf School will contact the booking teacher via mobile to advise of a location change or cancellation. This may happen in the morning of your lesson, so please keep your mobile phones handy to ensure you receive the message. Please note, lifeguards start and open the beaches at 9am. Manly Surf School will therefore contact you shortly after that time with an update on conditions. If you have not heard from us, please proceed to your booking location. Please note that for admin purposes, we kindly request that any amendments or cancellations be made via email request with at least 24 - 48 hours notice prior to the booking date. Any amendments or cancellations made on the day of or after the booking date may incur a charge. "The one-off school prices apply from Monday - Friday and for groups of 8 or more. Fill out the form below or send an email request to schools@manlysurfschool.com with the dates, times, numbers and location of your booking. We may also require a mobile number of the booking teacher to complete the booking. You may receive a second confirmation from our booking system containing the dates and times. If you have not received either of the confirmation emails – please contact us as soon as possible.